I have always had to struggle with eating in the morning. My typical breakfast? A smoothie typically made with banana, some type of frozen fruit/berries, almond milk, hemp seeds/wheat germ/whey/bee pollen/etc (sometimes a number of these, sometimes one). At times I add spinach or a dollop of peanut butter. 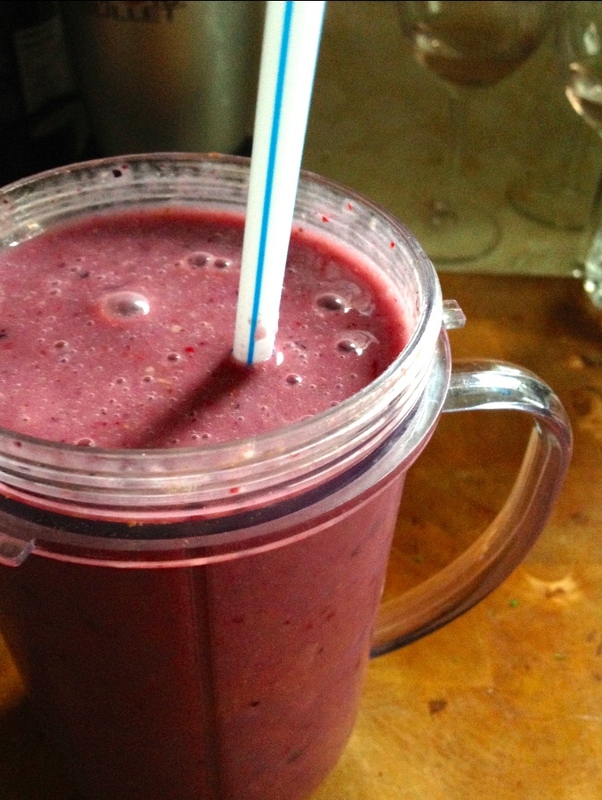 But effectively, the smoothie is the same every day…see difficulty ( C ) above. Boring! I love my smoothies, but I eventually lose interest and either then skip breakfast because “Meh” or end up eat something that doesn’t really fall into the healthy category. So, my point? Breakfast needs an overhaul, a new perspective and a new approach. This article: 31 Delicious Low-Carb Breakfasts For A Healthy New Year has some brilliant ideas and is what kickstarted this train of thought. Many of the options on this website call for actually cooking ingredients, which I admit does not happen on a regular basis. Somehow the idea of cooking breakfast equals weekend mornings, when you are relaxing after a long week and have time to cook a luxurious breakfast. Perhaps this is a perspective that needs to change. I have more investigating and reading to do, so for now I’ll ask, what do YOU do for breakfast? 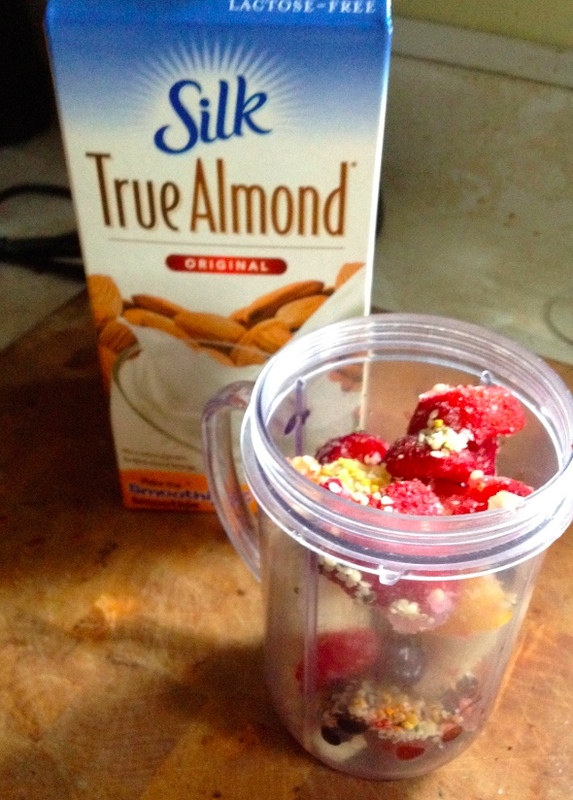 Fast, healthy, yummy…all in one. Possible? Would love some suggestions! I love beets! Pickled, boiled, roasted…they’re just so damn good! I haven’t cooked with them all that often but when I do, guaranteed there is a satisfying meal ahead…as well stained hands…pinkish dish towels…Yeah, the dye kind of shows up everywhere doesn’t it? We’ll leave that and move on. Some friends recently went on vacation for a couple of weeks, which resulted in some evicted, homeless produce arriving on my kitchen counter. It was an interesting assortment of stuff…broccoli, spinach, lettuce, peas, goat cheese and BEETS! I considered making just one big salad, as one would faced with such produce but I wanted to take things a little further…and I also wanted to cook at least two posts worth of yumminess to end the dry spell that had found its way onto this blog. That dry spell…by the way…is all Mother Nature’s fault. When my faucets are having a hard time finding cold water for me to drink, the stove is remaining dormant. That’s just the way it is. This post details the salad and the other two pieces of said meal are forthcoming…three posts from one meal! Sweet! So, on to the BEETS!! These beets desperately wanted to become salad. I could tell! I had four beets, although three were enough to make two large side salads so I had leftovers. I scrubbed and washed them. Even plucked their antennae-like whiskers! Creepy! Who knew beets grew facial hair! OMIGOD, I think they MOVED!! I cut them all in half, leaving the skins on, dropped them in a pot, added enough water to cover them and allowed it all to boil for about 40 minutes. Timing will depend on the size of your beets of course. I'm not a fuchsia fan, but I have to admit that beets are just a lovely colour! Next up? My favourite part of this recipe! Candied nuts! 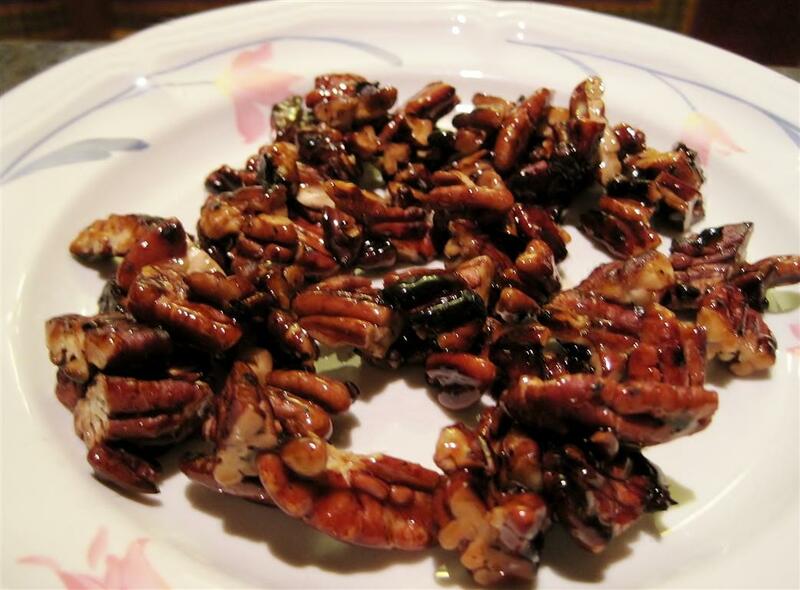 I have had many salads lately at restaurants that included candied pecans and I absolutely love what they add to the dish. I tend to prefer vinaigrette-type dressings and the sweetness of a candied pecan complements the tartness really well! …and placed them in a pan over low-med heat. When they were warmed through and almost actually toasting, I was supposed to add maple syrup. Warmed through? How was I supposed to figure that out without actually touching one? They don’t pop, sizzle or release any aromatic oils that I noticed. They burn though! And fast! So, in my case, when I saw one or two pieces start to blacken, I assumed it was syrup time! 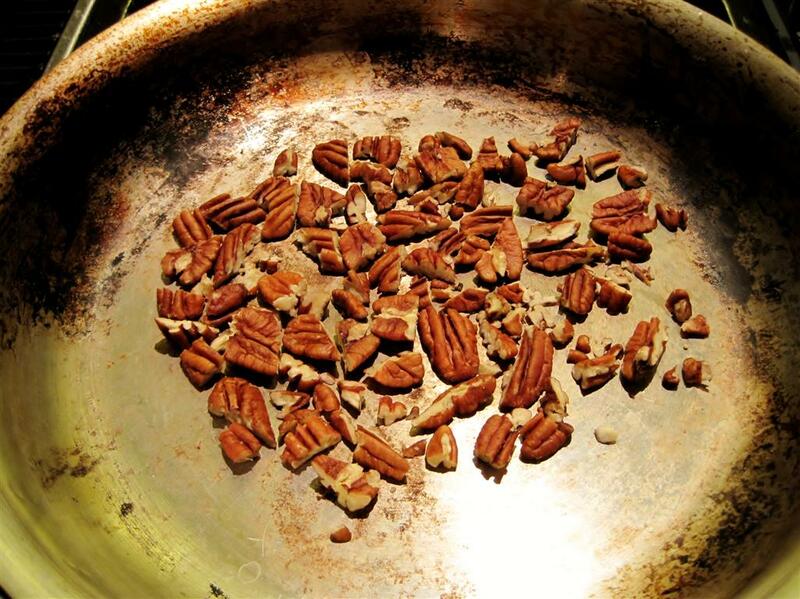 Once the pecans were coated, I poured them onto a small plate and set them aside to cool. By this point, the beets were done. I strained them and ran cold water over them for a bit to help them cool down faster. 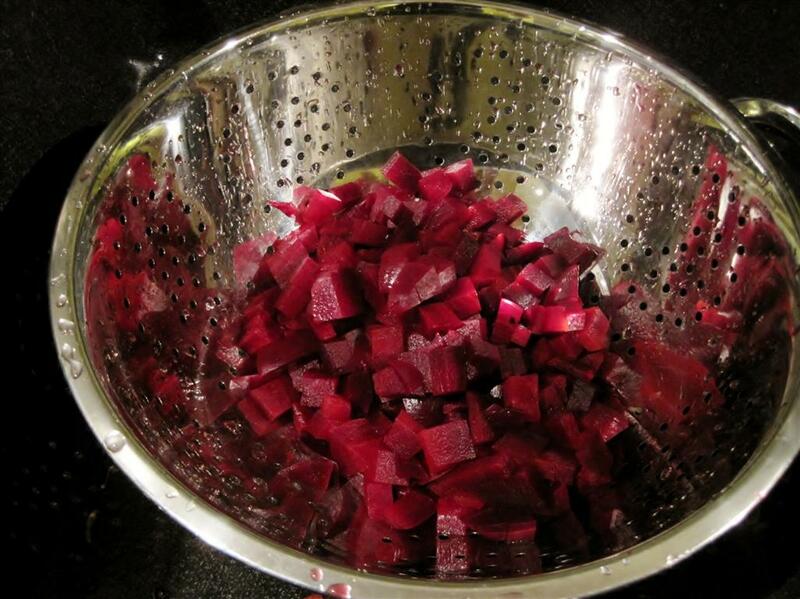 At this point, and you know this if you have ever boiled beets, I was able to easily slip their skins off. I love that part! It feels so strange, almost dirty….the top layer sliding off like a silk negligee. 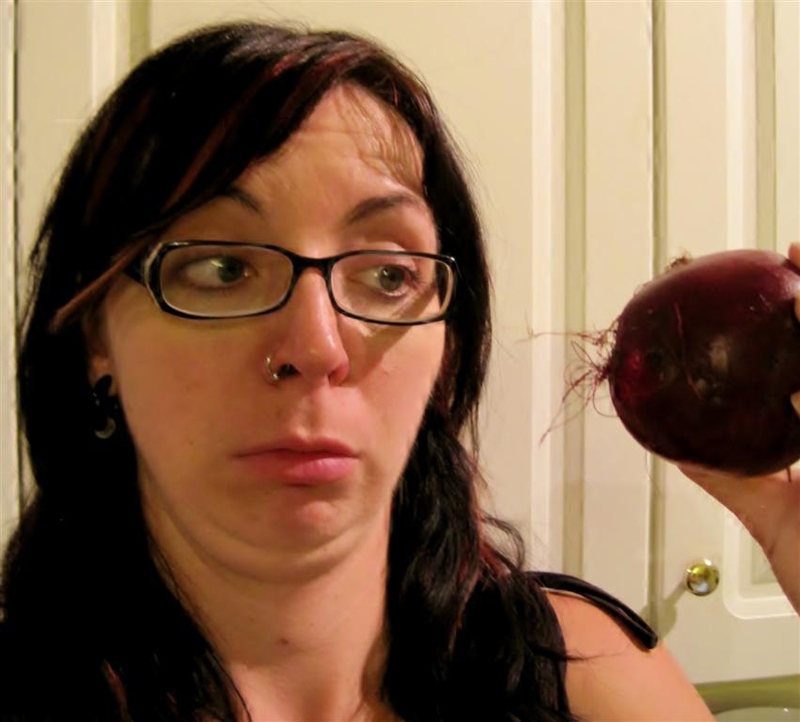 (Bet THAT makes you want to go boil beets, doesn’t it!) 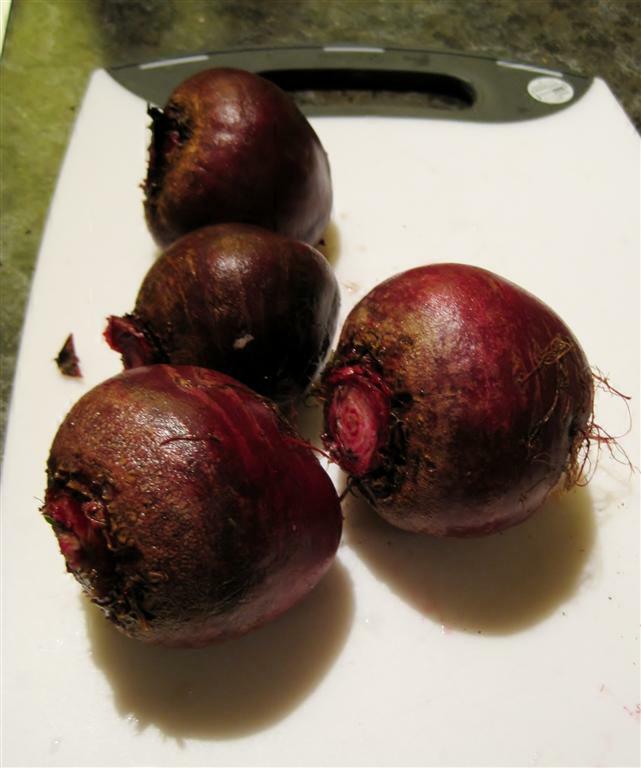 Once all my beets were naked, I cubed them. Finally, it was time to put the salad together. I lined two bowls with a handful of mixed greens, followed by a cup of so of beets. (At this point, all it to taste!) I picked up some pecans…well, I *attempted* to pick up some pecans…but by grabbing one, I got them all…and the plate! 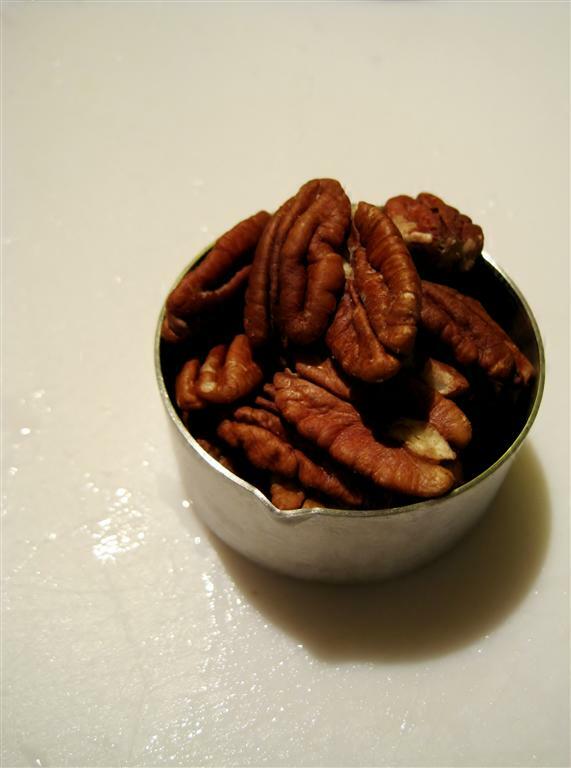 Maple pecans...yup, a little burned, but still delicious! Maple syrup makes for a really effective glue. So be ready to spend a few minutes breaking all the nuts apart. As you can see, and as I mentioned, mine were slightly burned but they were still delicious! Sprinkled them all over the salad and topped it all off with goat cheese! For the dressing, I used a simple straightforward balsamic vinaigrette. The salad was delicious! And even though the Boy isn’t very fond of cooked/candied nuts, he emptied his bowl, as did I! The only improvement I would make is with the actual cubed beets, although I’m not sure at this point what that improvement would look like. B and I agreed that the beets were yummy, but a little bland. Perhaps that’s because we both love pickled beets and are used to beets dripping with vinegar-y goodness. 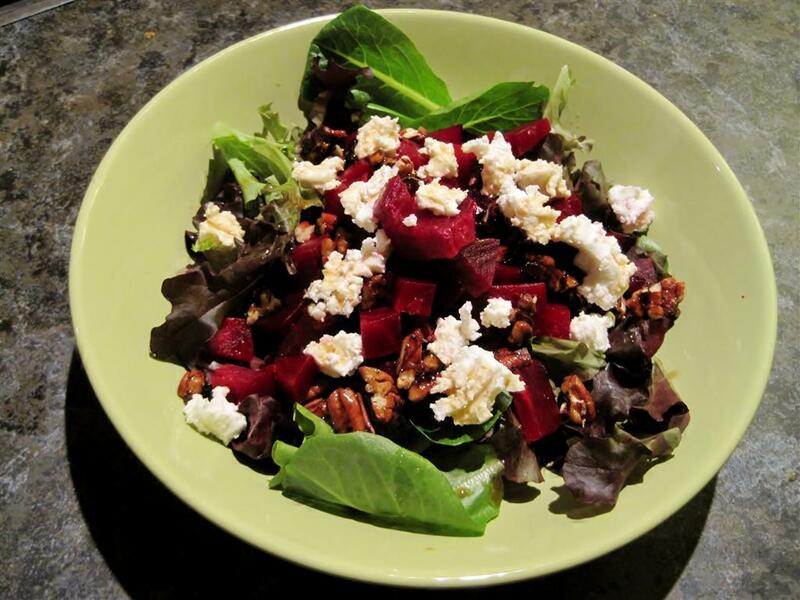 More dressing may have helped….or perhaps soaking the beets alone in the dressing and then creating the salads? Suggestions? Regardless, it was still a success and I would definitely make it again! 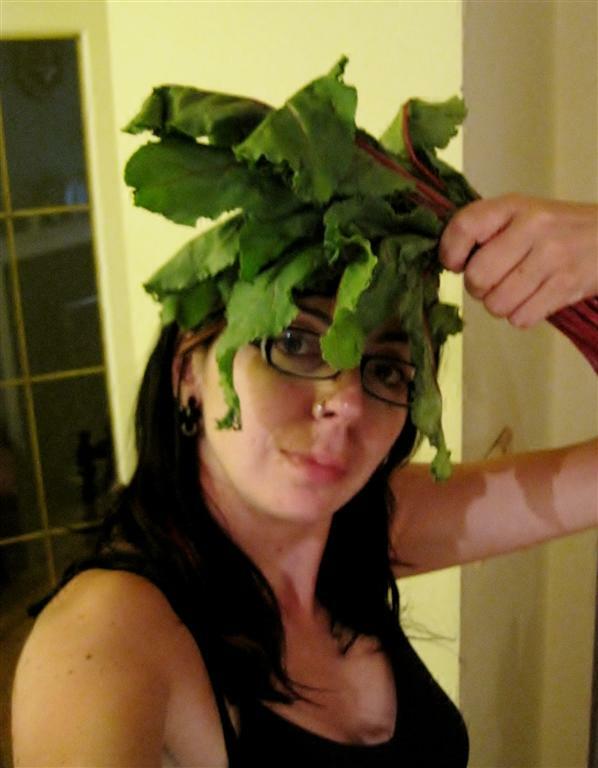 ….So we used up the beets…but what to do with…Beet Greens??? 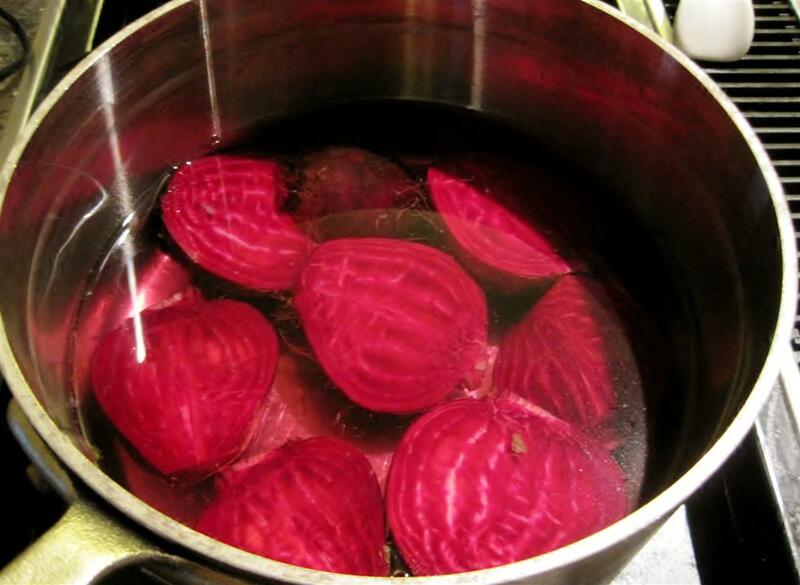 Wash your beets (pluck their whiskers), chop them in half, put them in a pot and cover with water. Bring to a boil, then cook until tender, approximately 40 minutes or so. Drain and then let them cool. Once cool, cut into cubes. 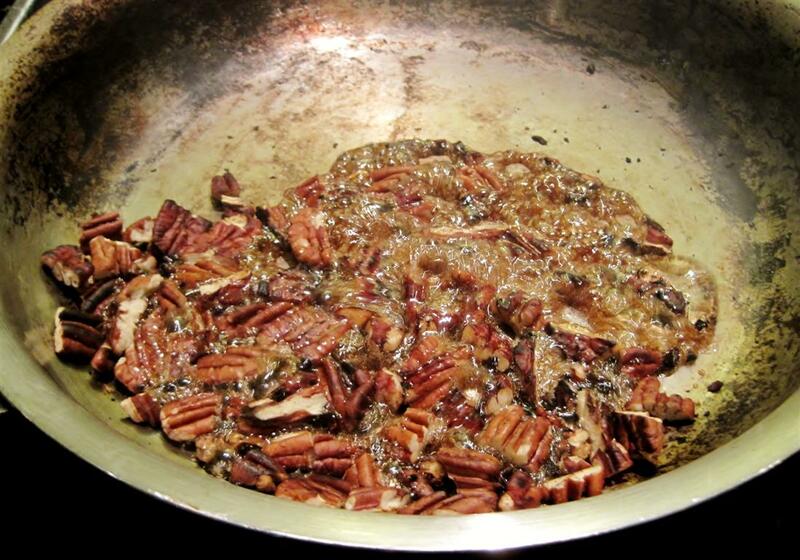 Slowly heat up the pecans in a fry pan over low to medium heat. When they’re warm (or on the precipice of burning, as in my case! ), pour in the syrup and stir everything together until they are all coated. Then, put them on a plate to cool. Mix up your dressing in a separate dish. I made a simple balsamic vinaigrette. This next step is totally dependent on how hungry you are! 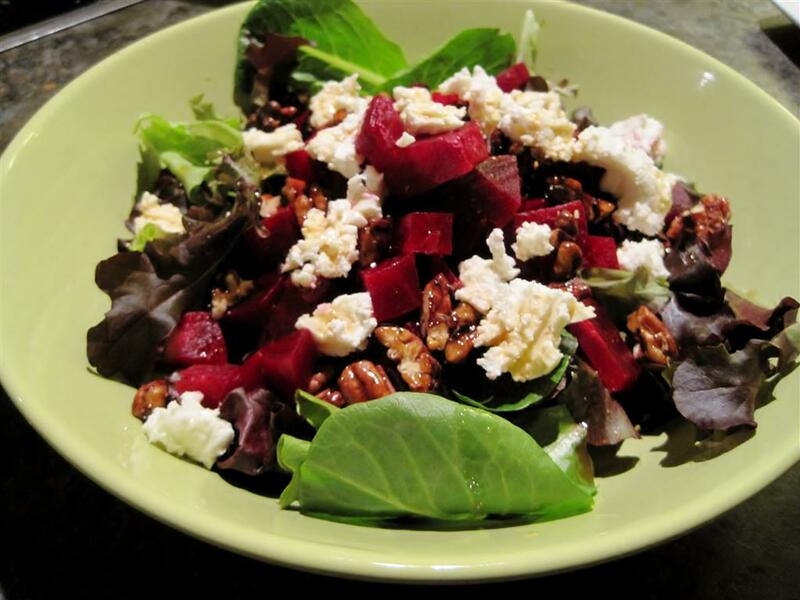 Create a bed of greens in each bowl, top with your cubed beets. 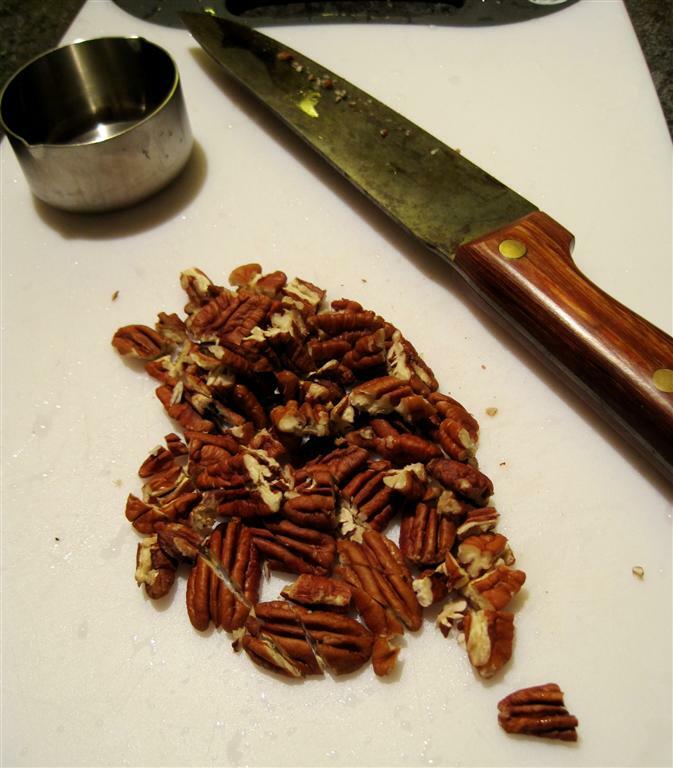 Sprinkle pecans (well, after you break them apart!) and goat cheese to your heart’s content and then add dressing. Makes 2 servings – I was able to make two large side salads. I love using the slow cooker to make chili. You simply brown up the meat and then throw everything in the slow cooker and let it go for a few hours. The only aspect of chili that I have messed up, more than once, is the use of spices. Even when I follow a recipe, I tend to find my chili quite bland. The spice is always present but there’s no body…no actual ‘chili’ flavour. This happened on Saturday night. After letting everything cook for a couple of hours, we tested the dish and found it to be lacking. Tanya made a call and was advised that we should try adding more chili powder. Which we did. Again. And again. And again. There was a slight change but not enough. It was still more of a thick tomatoey soup than a chili. So I jumped online to see what the internet universe would suggest. Lo and behold, one common suggestion I came across on a number of sites was vinegar. Vinegar! I would never have thought of that as an option. We had nothing to lose…so I tried adding a tablespoon of white vinegar. Mixed it, tasted it and noticed a change in flavour. In the end, I added about 4 tbsp of vinegar (my crock pot holds 5L) and it made a HUGE difference! Anyone else have any chili secrets to share?